There’s nothing better than when people make a little extra effort to do the right thing. This is the sign in front of the new Police HQ in Littleton, Massachusetts, and it stands on the site of a former farm stand, Stan’s Big Acres. Owned by the late John “Stan” Paskiewicz, the stand – a small red shack with a screen porch and a hand painted white sign with red writing – had a greeting painted on it “If You Can’t Stop, Wave.” Whenever we gave people directions to our house when we moved from the city, Stan’s sign was the landmark that reassured them they were not indeed lost and were, in fact, close to their destination (the other landmark was Bob’s Bait & Tackle – alas, it is gone also). Guests often arrived with cider or apples from Stan’s (no one ever arrived with bait from Bob’s – go figure) and even when I driving past alone I found myself raising a hand to Stan. When Stan’s closed the shack stood empty for a number of years, falling into disrepair, the sign still outside. We kept waving anyway. 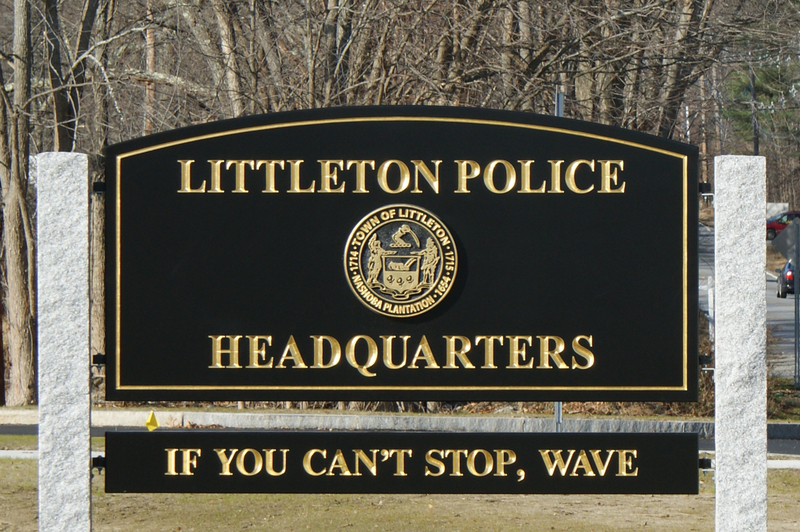 When Littleton decided to use the site for the Police station (and a beautiful one at that) some civic-minded person or group preserved Stan’s greeting on the new sign. So, Stan’s is a Police station and Bob’s is a yarn shop. 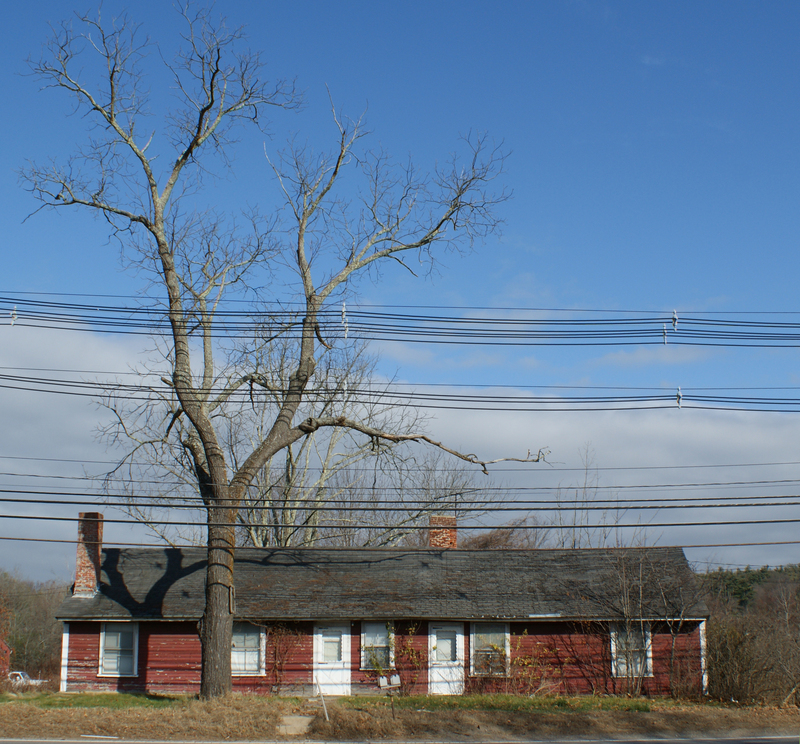 There are still signs of the agricultural life along the way home – farm stands, horse farms, fields of sheep and produce – but nothing quite like Stan’s, save for the red house directly across the street (below) that echoes his stand in it’s waning days; the future on one side the road, the past on the other. If you can’t stop, wave. Okay, then.